I can’t believe another month has passed me by already! 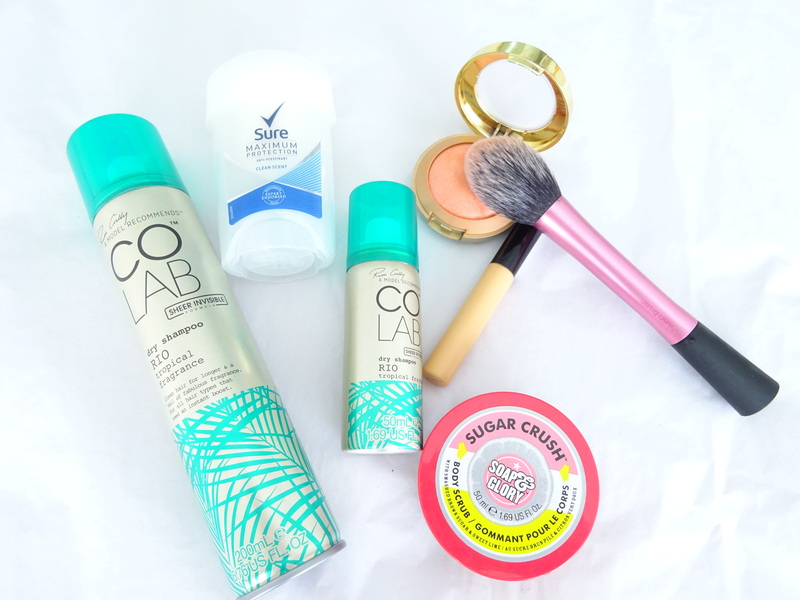 So here it is, another month and a few more products I’ve been obsessing over. May has seen the change into more summer friendly products. It’s that bit warmer now, not quite hot yet in London unfortunately, so I’ve changed my beauty regime accordingly. Through the Winter and Spring I’ve been pretty loyal to my Bobbi Brown corrector and concealer duo. However I’ve recently ditched half of this duo and now just use the corrector followed by my good old Collection Lasting Perfection concealer. The latter withstands the warmer weather a bit better than my Bobbi Brown concealer that sadly seems to melt off slightly. I started using the Collection concealer about 6 years ago and although I stray away now and again, I always go back to it. And it always delivers for a very reasonable price too! May has seen the reappearance of my bare legs again. I’ve had mine lasered so I don’t really have to worry too much about hair removal, but I do like to make sure that they are nice and silky smooth. 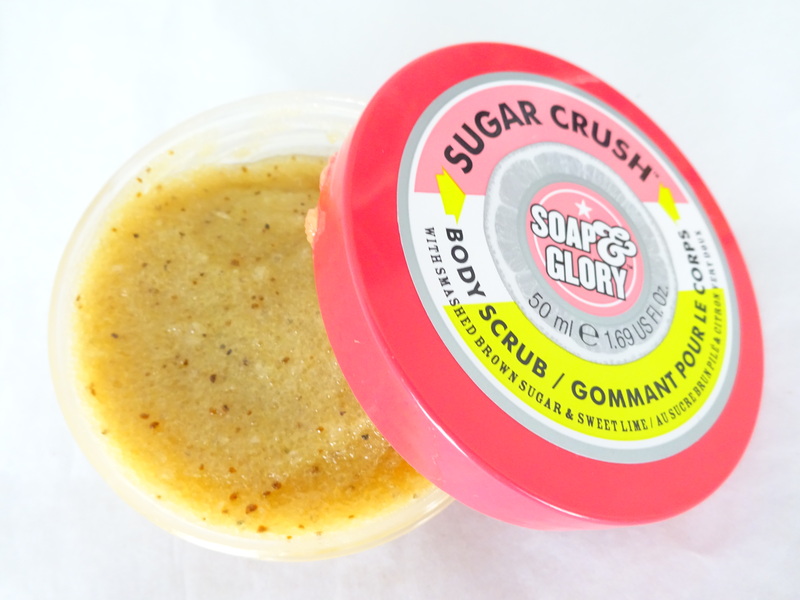 Step in the Soap & Glory Sugar Rush scrub! Apart from smelling good enough to eat (really! ), this sugar based product gently scrubs away at your skin leaving it as soft as a baby’s bum. Yes I said it! What I particularly like about this scrub compared to others is that it leaves an ever so slightly oily residue on your skin. Not the kind that make you feel like you’re going to stain everything you touch with oil, but the kind that makes your skin feel nourished and moisturised. Big thumbs up from me. I am finally going to step away from my Garnier Body Tonic scrub that I have been loyal to for years. I have been going for a more natural makeup look this month, sometimes ditching my bronzer altogether. I have repeatedly reached for this Milani Luminoso blush as it gives me a lovely peachy glow. The shimmer particles are so fine that it really does seem that you are ‘glowing from within’ rather than you’ve been hit in the face with a disco ball… I just wish that Milani was available in the UK so I could get my hands on some more shades. Carrying on with my more minimal makeup, I have really narrowed down how many brushes I use on a daily basis. I’ve bid farewell to my contour and powder brushes and have stuck to the Real Techniques Blush Brush for a more precise application rather than my usual ‘shove bronzer all over’ routine. I’m hoping that’s because I’m a bit more sun kissed now! This brush is small enough to really concentrate the colour where you want it, but fluffy enough to blend it out to make it look natural too. It’s a win win situation. I recently dyed the ends of my hair pink. Well on my dark hair it’s more of a subtle hint of purple (not by choice, I’m just avoiding bleach! ), so I’ve been trying to not wash it quite as often. Therefore dry shampoo is my new best friend. I’ve tried so many different ones and I’ve got to say that this COLAB one is by far the best. There are a good few scents to choose from, I’m loving this RIO one at the moment. They come in mini size as well, mine lives in my handbag for on the go hair sprucing. Big well done to Ruth Crilly for this. A dry shampoo that doesn’t leave me with white dusty hair? I’m sold! So there you have it, a mix of makeup, body and hair products are in my hall of fame this month.